Rak Chazak Amats! All Strength and Courage for the Glory of Our God! 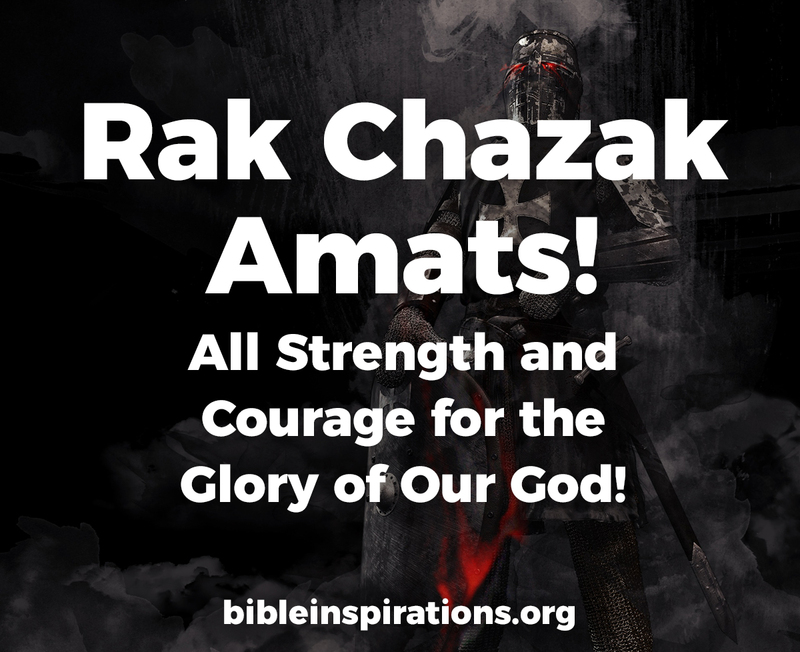 “Rak Chazak Amats” is an ancient Hebrew war cry that Christians can adopt.